Do You Need a Probate Attorney in North Carolina? 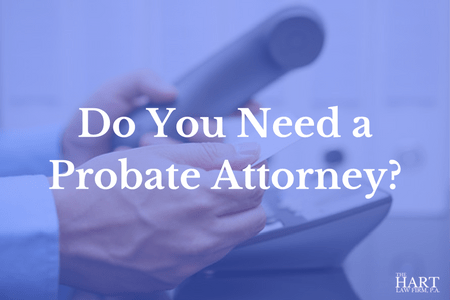 If you have been named as the executor or administrator of an estate in North Carolina, you may or may not need a Probate Attorney to assist you with the process. This article is intended to help you understand the basics of probate in North Carolina and decide whether you will need to hire a probate lawyer to help you. Is Probate Always Necessary in North Carolina? Does North Carolina Offer a “Simplified” Probate Process? Click Here to Download Your Free Probate Checklist. Prepared with Estate Executor’s in mind. Probate is the legal process in North Carolina where the probate court qualifies an individual (the executor or estate administrator) to wrap up the final financial affairs of someone who has died (We typically call this person the “decedent”). The executor could be a surviving spouse or close family member or friend, but it doesn’t have to be. During the probate process, the named executor will inventory and gather all of the assets belonging to the decedent, pay any debts taxes or other obligations owed by the decedent, and ultimately transfer any remaining property or assets to the beneficiaries of the decedent’s estate. It is possible that you may need a probate attorney to assist you with the complexities and legal nuances of this process. This article was written to help you understand what is expected of you as executor of an estate, and determine whether or not you should hire a probate attorney. Although the probate process is very common in North Carolina, it is not always necessary. In most cases, probate will be required in North Carolina. However, with proper planning, the impact of probate can be drastically reduced. The only time that probate is required is if the decedent owned assets titled in his or her sole name. Examples of this might be a car, bank account, real estate, etc. For North Carolina estates (not including real estate) that are smaller than $20,000 (or $30,000 if the surviving spouse inherits the entire estate), then a simplified probate process is available. 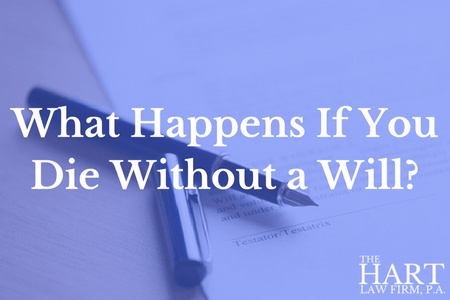 You may use this procedure regardless of whether the decedent had a will or not. To start this process, you must wait at least thirty (30) days after the decedent has died. Then, you will use this form to inventory the value of the decedent’s estate, showing that it is less than the statutory amount. You may need to file other documents as well, including a copy of the will if there was one. After filing this form with the clerk of Superior Court in the North Carolina County where the decedent lived, you will send a file-stamped copy to all of the heirs of the estate. You will need to obtain at least one certified copy that you will present to the financial institutions where the decedent had accounts. The bank will then transfer the funds to you as the administrator of the estate to pay off any creditors and distribute what is left to any named beneficiaries. Within ninety (90) days, you must then file a second affidavit with the clerk of court indicating how all of the property was divided and distributed amongst the heirs. In North Carolina, the probate court will appoint or “qualify” someone as an executor if that person was named in the decedent’s will. If there was no will, or if the named executor is unwilling or unable to serve in that role, an administrator will be appointed to wrap up the estate. Both the executor and the administrator are also referred to as a “personal representative” of the estate. I mention this now because these terms are often used interchangeably, but they are all referring to basically the same person. To serve as the executor or administrator of an estate, you will need to apply to the clerk of court’s office in the county where the decedent lived at the time of their death. You will use this form to supply a preliminary inventory of all of the decedent’s assets, including real estate, bank accounts, vehicles, etc., and list all potential heirs of the estate. The filing fee to open a probate estate is currently $120 (as of September 2017). Within several weeks, the court will issue “Letters Testamentary”, or “Letters of Administration” which will grant you the authority to manage and distribute the assets of the estate. At this point, if you are overwhelmed with the probate process in North Carolina, then you may want to hire a Probate Attorney to assist you. Feel free to contact our office at (919) 883-4861 to go over your situation with a North Carolina Probate Attorney. One of the great things about probate in North Carolina is that the Administrative Office of the Courts provides many of the standardized probate forms you will need to serve as an executor of an estate. Simply go to this page and enter the category “estates” to see a full list of the forms available. If you aren’t good with numbers, or can’t stay organized, then you should think twice about whether you should be the executor of an estate. This is not a title that should be taken lightly. You will be responsible for managing the financial affairs of the decedent. If they owned property in their sole name, you will be responsible for paying mortgage payments and other related bills out of estate assets. You may need to hold an estate sale or otherwise clean out a house that has accumulated years and years of “stuff” that needs to be disposed of. If you will be selling real estate, you may need to obtain permission from the clerk of the court first unless the will directs you to sell the property. North Carolina is a “creditor friendly” state. That means that the burden is on the personal representative of the estate to provide notice to all possible creditors of the estate, both known and unknown. Typically, once a personal representative becomes qualified, they will mail a notice to all known creditors. This notice must contain information about how, when, and where to file claims against the estate. This notice must be sent to all creditors (including the Department of Health and Human Services, Division of Medical Assistance, if at the time of the decedent’s death the decedent was receiving Medicaid) who are actually known or can be discovered upon reasonable investigation. In addition, the personal representative must publish a notice in a county newspaper and at the courthouse for once a week for four (4) consecutive weeks and should state that claims must be filed by a date certain, which date is at least three (3) months from the date of first publication of the notice. If the estate does not have sufficient funds to pay all of the debts from creditors who come forward, then state law sets a priority for the order of which claims shall be paid. State and Federal tax returns must be filed by April 15th of the year following the year of death if there will be taxes owed. An Estate Tax Return is only required for the largest of estates as the estate tax exemption is currently $5.49 million as of 2017. Note that the taxable estate for Federal Estate Tax purposes includes all assets owned by the decedent when they died, not just probate assets. 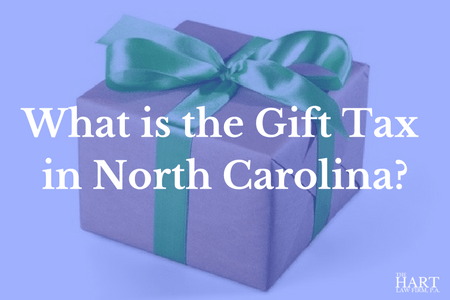 North Carolina does not have a state level estate tax, as it was repealed in 2013. After all debts and taxes of the estate have been paid, the personal representative may distribute the assets and property to the heirs of the estate. I’ve seen many instances where personal representatives are tempted to not follow the directions in the will or even fail to probate a will because they don’t believe that what is stated in the will was the decedent’s true intent when they died. Be aware that concealing a will is a crime in North Carolina. Before the estate is closed out, the personal representative must file a final accounting with the clerk to show the clerk how the estate was disposed of. If the estate will remain open for longer than a year, an accounting must be completed and filed at least annually, including evidence of all transactions that took place. You are overwhelmed. You just lost a loved one, possibly someone you cared deeply about. Although you were named the executor, you still need time to grieve and didn’t understand how difficult this process would be when you originally agreed to take on the responsibility. You are emotionally unable to handle the grief process as well as all the legal nuances of ensuring that the probate process will go smoothly. You don’t have time. Perhaps have a job that requires long and stressful hours. Maybe you own your own business. Maybe you are the primary homemaker and caretaker of your children. Whatever the reason, there just aren’t enough hours in the day for you to manage everything you need to do on a daily basis and add-on all the duties that come with being the executor of an estate. Bottom line, you need help. You anticipate problems. Maybe you have read through the will and you realize that there are some people who aren’t going to be happy. Maybe YOU aren’t happy. For these reasons, you may need a probate attorney to help you through this process and make sure everything is handled correctly. And in the rare case where a challenge is filed (also called a “will caveat”), you will be ready to handle this. The Estate is extremely complicated. As I mentioned before, the more complicated the estate, the more work there is to do to make sure it moves through probate quickly and efficiently, with the least amount of cost possible. If you are looking at a large and potentially complicated probate estate, you may need a probate attorney to assist you through the process. If you need additional information about the probate process in North Carolina, we have prepared a handy checklist that contains everything you need to know as executor of an estate. Or you may call our office at (919) 883-4861 for a free, no obligation consultation. Previous Post: « What Happens If You Die Without an Estate Plan?